Personalized Silver Birthday Fortune Cookie.. Being a teen means staying on top of trends - or setting them. It means exploring interests, forging an identity, and lots and lots of firsts. If you want to make a teen girl smile, do your research and don't get too experimental. 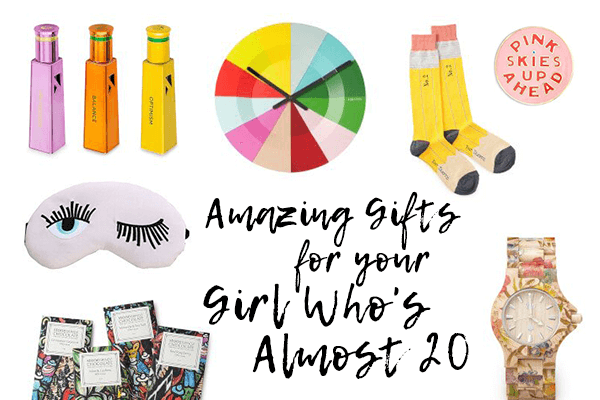 Stick to teenage girl gifts you're pretty sure she's going to love. Because, duh. If she's glued to her smartphone, pick a pretty protective case. If she's a budding athlete, sports supplies will be right up her alley. School and fun: Whether or not she equates those two words, stylish school supplies will help her be the classiest girl in class. If she's inseparable from her squad, factor that into your decision. A group board game is great for sleepovers, a backyard game amps up outdoor fun, and a set of charm bracelets can be shared among the crew. It's no secret that teens can be self-focused (after all, they're discovering who they are! ), so great teenage girl gifts involve anything with her name, initials, or even her favorite quote. The house may belong to the whole family, but a teen's bedroom her personal sanctuary. Look for something that helps it feel like a haven. Playful pillows, pretty picture frames, and whimsical wall clocks all fit the bill. Whether she's a sweats and sneakers girl, a makeup maven, or a baubles babe, she'll appreciate a present that suits her personal style. Not sure? Ask her mom or dad. From modern Polaroid cameras to high-tech headphones, consumer electronics make great teenage girl gifts. If she's got a car, a teenage girl most likely lives to drive it - and bring her friends along for the trip. Anything from a quirky keychain to a funky find to hang on her rear-view mirror is a welcome gift for young woman with wheels. What a teenage girl thinks is cool may not be known until you stumble upon it. After all, this age group is not known for their communication skills with grownups. But you don’t need to feel like you’re gift shopping around in the dark for your teen. We rounded up a stellar list of cool gifts for teenage girls so you don’t have to resort to the most unoriginal money-in-card backup. Tween girls are just on the brink of turning into teenagers. So, she knows what she likes, and she's got opinions. She's also past the age of liking just about anything because it's new and comes wrapped up pretty as a gift — yep, she's no longer a little kid. So you want to find a gift that doesn't feel too young for her, and feels pretty cool. 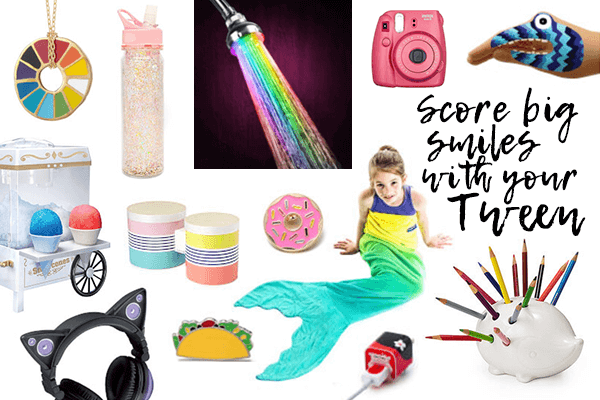 Here's a long list of ideas for finding the best tween gift. © 2018 GiftAdvisor.com. By Way Ventures, LLC. All rights reserved.